We’re launching a three month project so that we can learn how to engage better with our readers, supporters and collaborators – and we need your help. Since 2010, we have built our reputation as a non-profit media organisation that produces investigative journalism to empower citizens and protect democracy. We want to inform the public about how power works in today’s world. We expose wrongs, counter fake news and spark change. We do this at a local level – with our UK based Bureau Local network – and globally. Our Bureau Local project has shown how and why homeless people are dying on the streets and shone a light on cuts to women’s refuges as well as putting shrinking council budgets under scrutiny. Our global superbugs project has highlighted the challenge of the threat to healthcare – from resistant TB devastating the slums of India to women losing their wombs in Malawi because of antibiotic resistance. We’ve shown how major supermarkets are now using American style beef lots to raise the food we eat, with this being just one of many stories in our food and farming project. We’ve built on one of our oldest and most established projects, tracking drone warfare, and launched a wider project, Shadow Wars, investigating President Donald Trump’s covert wars around the globe. We also consistently highlight the human cost of such hidden wars. We’ve been able to do the work we do because foundations and a small number of individuals fund our journalism. But we want to do more. There are many ways we could develop and expand our journalism, and get it seen and shared in more places. We could pursue our existing projects for longer, or take on new topic areas. We could use new storytelling formats and new platforms, and experiment with different ways of getting our findings to people affected and to policy makers. We could make our audiences a much bigger part of our journalism, from start to finish. We’d like to invite you to tell us your views on all of this. What kind of journalism could and should we be doing, and how we can communicate better with our readers and with potential new audiences? Are there particular organisations you know of that engage really well with different communities, or tell stories in exciting ways? Let us know, and give us tips on anything else we could be looking into as part of this research, by emailing thebureaulistens@tbij.com. We’ll keep you posted, on our website and on social media, as our thinking develops. I’m grateful to the Bureau for the opportunity to lead on this engagement project as my own work has taken me on a journey towards working more deeply with communities or what the journalist, Dan Gillmor, calls ‘the former audience’, characterised by media which reaches out to citizens and asks them to participate more deeply. 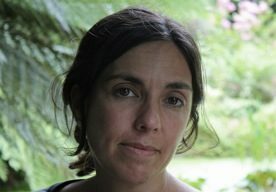 In my own case, I’ve written extensively about marginalised communities at risk of harm and exploitation but my journalism has been shaped over the last decade by a realisation that my work could be better if I worked alongside my interviewees in a deeper manner, rather than interviewing them and then speaking for them. 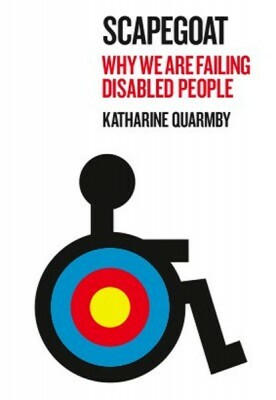 In my first book, Scapegoat: why we are failing disabled people(Portobello, 2011), I investigated a relatively unknown crime – that of violence against disabled people. That book was influenced by the disability movement’s mantra, ‘Nothing about us, without us’. I listened to heart-rending stories of violence, talked to the bereaved and highlighted campaigns for justice. But I also involved affected families and the disability movement itself in my work, revising some chapter sections after consultation and even sharing some draft sections of my work as I went along. I applied some of those same lessons to my next book, No Place to Call Home: Inside the Real Lives of Gypsies and Travellers (Oneworld, 2013), where I worked alongside both settled and nomadic communities, revising my work in the light of their comments. I’ve changed the way I do journalism as a result of my own experiences and by reading deeply about more engaged forms of journalism. In particular, I no longer feel that readers and interviewees are passive, or that it is always wrong to consult readers as a story progressed, or that their voices are only there to facilitate my own journalism. I clarified these thoughts, in a piece, ‘No More Voiceless People’ for the Society of Authors magazine, which you can read here. But the Bureau is also enthusiastic about looking at how it can work better with its readers and communities it reports on. We already collaborate widely with networks through our Bureau Local work, but we want to do more. Like other news organisations, we are aware that journalism is under threat, and that the models that used to sustain it are no longer working on their own. Advertising budgets have dwindled, there are constant cutbacks to local journalism, and authoritarian leaders even attack the notion of press freedom and dub good reporting fake news. This, in turn, has led to a populist rise of distrust against journalists in certain countries, though it’s not the same everywhere. Journalists also bear responsibility for some of the criticism. News and comment are often mixed. Not all news organisations fact check to the extent they should. There are big challenges – one of them being that tech companies largely control how and where people consume our work as journalists. We’re excited to embark on this dynamic process, of listening to you and reflecting on how we should change. Please get involved and share your opinions about how the Bureau is doing, what issues you’d like us to cover and how we could involve readers more deeply through principles such as co-production and collaborative working. Header picture, of a Bureau event, by Rob Stothard. All other pictures from current Bureau work areas, including global superbugs, food and farming, Bureau Local and Shadow Wars. This entry was posted in Uncategorized on October 16, 2018 by katharinequarmby.